Bring the kids along to Bondi Beach and Powerhouse Museum. There's lots more to do: appreciate the extensive heritage of The Rocks, take a stroll through Darling Harbour, get up close and personal with brilliant marine life at Sea Life Sydney Aquarium, and admire the natural beauty at Chinese Garden of Friendship. To find traveler tips, reviews, other places to visit, and tourist information, read Sydney travel planner . Singapore, Singapore to Sydney is an approximately 10.5-hour flight. The time zone difference moving from Singapore Time (SGT) to Australian Eastern Standard Time (New South Wales) (AEST) is 2 hours. 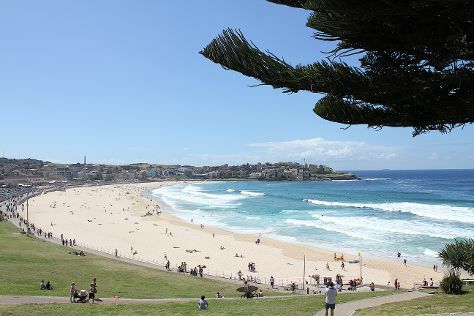 Traveling from Singapore in June, things will get cooler in Sydney: highs are around 21°C and lows about 11°C. Wrap up your sightseeing by early afternoon on the 8th (Sat) to allow time for travel back home.